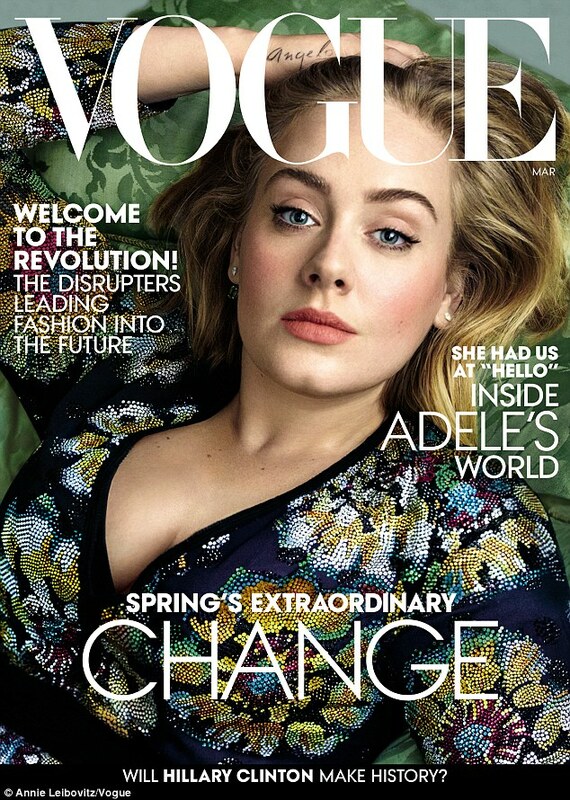 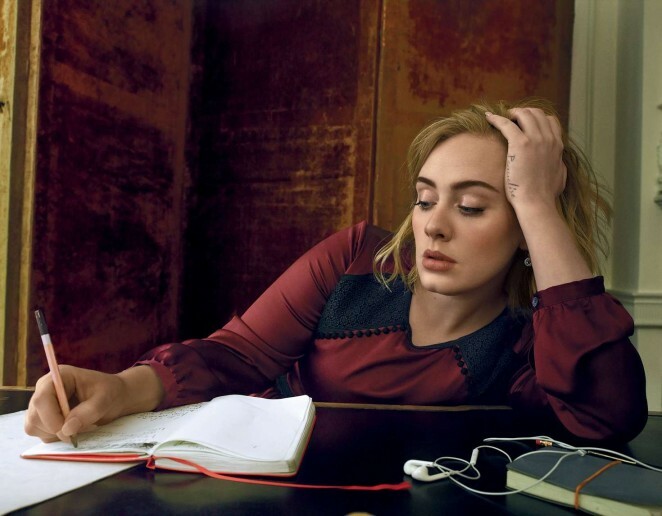 Adele has us jaw-dropped as she covers Vogue US, March 2016, looking stunning, and flaunting her obvious weight loss. 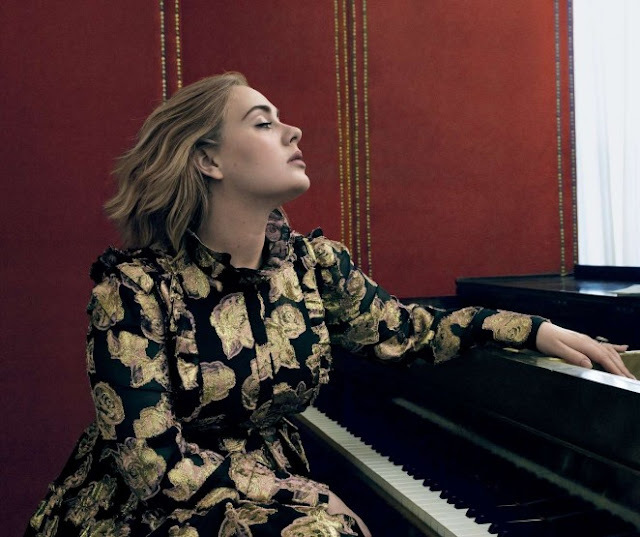 The 27 year old British music star, who can reduce even the strongest to tears with her glorious voice, wears an embellished Burberry creation for the cover, lensed by Annie Leibovitz. 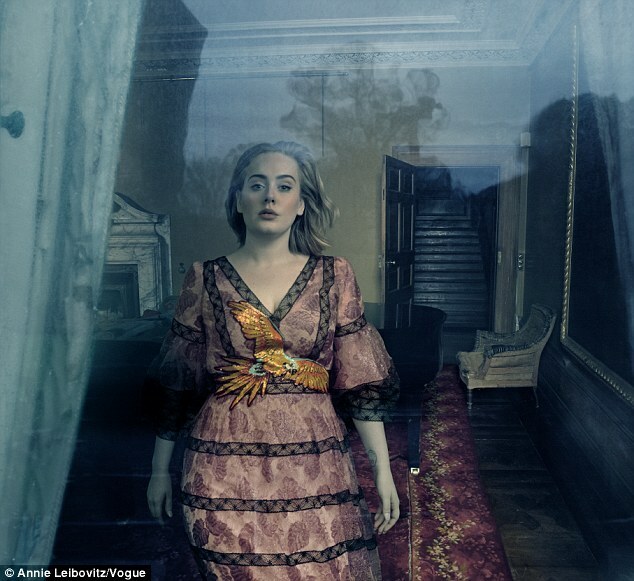 Adele, whose new curves come from 'dieting, working out and quitting cigarettes', wears designs from Dior, Gucci and Dolce & Gabbana for the editorial, styled by fashion editor Tonne Goodman. The mother of one and 10 time Grammy winner, says that she lost weight in order to build up stamina for her new tour and is comfortable in her skin.